« Top 9 Ways to Budget and Save Money on Your Child’s Next Birthday Party! Being a mom means that I'm the one in charge of running and organizing our household. At times, that can be a pretty big task and so I'm always on the lookout for innovative and unique products of all kinds to help solve a myriad of issues around my home. 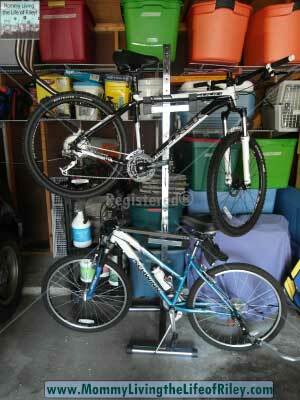 Take for example, my latest chore: organizing our garage with particular attention to our bicycles. I was looking for an efficient way to keep our family's bicycles neat and tidy and taking up the least amount of room possible in our already cramped garage. Of course, Problem Solvers had the perfect solution with their well-designed, free-standing bike rack. Keep reading to learn more! 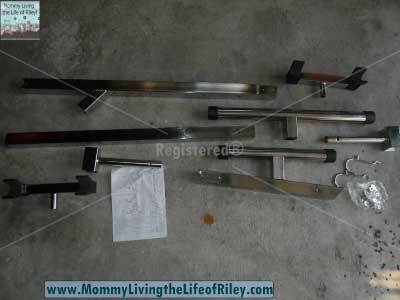 I reviewed the Bike Rack from Problem Solvers, which retails for $69.95. Problem Solvers is a member of the Plow & Hearth Family of Brands, a trusted source of quality products and top-rated customer service. Their products are useful and unique, functional and practical. They're items you need to stay organized, safe, clean and well. I looked high and low for the perfect storage accessory for our family's bicycles and was so happy to have finally found it at Problem Solvers. 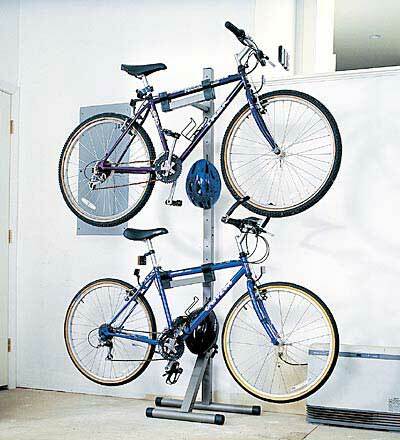 Their bike rack is a free-standing unit which uses simple gravity to keep your bicycles tucked neatly away when not in use. My clan loves to go bike riding through out neighborhood and to the park, but unfortunately, our bikes always laid in a jumbled heap in the garage when we weren't using them. This cleverly engineered bike rack from Problem Solvers is constructed of durable, powder-coated tubular steel and measures 7 feet tall. It has adjustable arms which hold two bicycles and also contains two adjustable hooks for your bicycle helmets. Assembly was extremely easy and only required the use of a Phillips head screwdriver. Within about 15 minutes, my husband and I had fully assembled the bike stand and was trying to figure out the best place to put it. The only problem I noticed with several of the pieces that made up this bike rack was that they were slightly bent, making it so that the stand wobbled a bit when we first put it together. The great thing about tubular steel though, is that with a little effort, you can bend it back into shape so that the bike rack sat flush as intended. I loved how easy it was to configure the bike rack from Problem Solvers into the ideal storage solution for our garage. Since we didn't have any wall space available, we set it up right in front of our shelving units and it worked perfectly. Now our bikes are out of the way when we aren't riding them, yet extremely easy to take down in an instant when we want to go. Thanks to Problem Solvers and the innovatively designed bike rack, our garage is once again organized and our bikes won't risk a bent frame or bent wheel due to being improperly stored. Problem Solvers offers a myriad of smart and well-designed products just like this one, so if your household is in need of an organizational solution, Problem Solvers probably has the answer! Disclosure: I received the Bike Rack from Problem Solvers in order to facilitate my review. No other compensation was received. This product review is based on my own personal experiences with this item and is completely honest and objective.